Expert fundraisers know that to maximize contributions, they must diversify their fundraising tactics. Special events are one method many turn to. On July 16th, GuideStar partnered with GlobalGiving, Foundant Technologies, and The California Endowment for a live demonstration on how nonprofits can update their GuideStar Nonprofit Profile and give their organization the potential to increase its funding through major foundations, corporate giving portals, and individual donors. In case you missed it, click here to download the full recording and slides from this webinar. As a follow up, here our panelists answer some of the most popular questions attendees asked during and after the event! What are the “red flags” that grantmakers look out for when reviewing applications? How can nonprofits work together even though they're, in a sense, in competition with one another? What’s one top way to attract the attention of grantors? Any tips on how to find new sources of revenue besides government and foundation grants? What advice do you have for nonprofits where transparency is not a true value of fellow officers? What are some tools to increase public/stakeholder understanding of organization's role/benefit to community? What do grantmakers really look for in the finances of NPOs in order to make a decision to fund or not? Any tips for how nonprofits can attract new funders? Thank you to Linda Oatley, Director, Partner Services Team, GlobalGiving, Dolores Estrada, Manager, Grants Administration, The California Endowment, and Daren Nordhagen, PResident, Foundant Technologies for partnering with GuideStar in this webinar and answering the preceding attendee questions. Want more GuideStar Webinars? Click here to register for our upcoming Impact Call August 10, 2015 at 2pm ET. See you there! If you think the nonprofit tech landscape is nothing but CRMs and data analysis, think again. Games—specifically social games—are growing more popular as tools for driving donor engagement, and it’s not hard to see why. You may have heard of gamification in the for-profit and educational sectors, but here are three key advantages that gamification can garner for your nonprofit. One of the key tenets of GuideStar’s mission is to advance transparency. Through our quarterly Impact Calls, we seek to lead by example, providing a forum through which to report on programmatic and operational metrics in a timely, interactive, and inclusive manner, and engage our stakeholders in a broader discussion of our strategy and priorities. Responding to an effort to encourage diversity among environmental nonprofits, the leaders of six major foundations called on their peers to share the racial and gender make-up of their boards and staff. Donations and contributions are the lifeblood for many not-for-profit organizations. Without the generosity of donors, these organizations would cease to exist. For this reason, keeping accurate records for auditing and reporting requirements is extremely important, as well as for internal tracking and monitoring by management. Ultimately, donors should know that their funds are being spent according to their wishes and auditors should be able to verify this. Break Free From the Mold: Get Personalized Tips from the Fundraising Advisor! Please take the Snapshot 2015 Survey! It was Harry Truman who said, "I make a bum decision, I go out and make another one." With all due respect to our 33rd president, I'm hoping the key decisions you and your volunteers make—and make early—about your charity auction will be sound ones. Each of the possible choices, which I discuss in detail in my book, Everything You Need to Know to Raise Money (and Have Fun) with a Charity Auction, will set the tone for your event and ultimately for your success. Deciding where to hold your auction is the first order of business. There are several factors to consider; paramount among them are cost and size. If your organization owns or has access to a site large enough to accommodate your auction, the decision is easy. If not, you'll have to look into renting a room or rooms for the event. Many of your options are obvious: Knights of Columbus Hall, Moose Lodge, VFW hall, local school auditorium, firehouse, hotel ballroom. Then too, I was once involved with an auction held on the lanai at the Hickham Air Force Base Officers Club overlooking beautiful Pearl Harbor. Talk about a location! Most charity auctions are held either in the spring or fall. Summer is generally a bad time, since many of your likely guests will be vacationing. Winter isn't advantageous either, as many are preparing for or recovering from the holidays. Of spring and fall, the latter is generally your best bet. And weekend evenings are the most popular time, since most auctions last well into the night. Using a theme can add to the fun of your auction. It allows you to create a buzz around what would normally be seen as just another fundraising event. Searching the Internet is an easy way to generate ideas for a theme. Some of the ones I've found popular are Margaritaville, Hurray for Hollywood, Havana Nights, Mardi Gras, and a Medieval Night. In addition to adding spice to your auction, a theme also provides direction for your decoration committee. You'll need to decide whether to hire a professional auctioneer or use a volunteer (if you're really lucky, you might have a volunteer who IS a professional auctioneer). Professionals will cost you more, at least up front, but they'll move more gifts and for more money. A pro can auction 35 items in an evening, at 20 to 25 percent higher prices than an amateur. Still, if yours is small auction, it might be wise to use a volunteer. The same is true if you have a volunteer with a charismatic personality and is known by many of your guests. This can give your event a casual and personal feel. Whether your event is black-tie or denim, there are pros and cons to either choice. Your key consideration should be the people you want to attract. If your audience is your own membership, then you already have a feel for what would be appropriate. On the other hand, if you're attempting to attract an audience from the community at large, you and your committee will need to assess what the market will bear. So much depends on where you're located, your competition, the cause, and your ability to attract guests based on your committee's personal contacts. You generally have four options when it comes to food and drink: dinner, hors d'oeuvres, dessert, and beverages. What you offer will be a function of what your guests typically expect and what admission price you think they'll be willing to pay. Your other decision about refreshments will be whether to have any or all of them catered. If you want pictures or video taken at your auction, you can either hire a professional photographer or enlist a volunteer with a good eye. If neither of these options is available, make sure you have someone—even if it's your teenage son or daughter—snapping pictures throughout the evening. These photos will aid next year's committee members with planning and set-up. Heed Franklin Roosevelt's words when it comes to speeches at your auction: "Be sincere, be brief, be seated." Remember, your guests didn't come to hear someone talk. Give your speaker no more than 10 minutes; 5 is better. And choose ONE speaker, usually your master of ceremonies, auction chair, or organization president. Realizing that "Advice is like castor oil, easy to give, but dreadful to take," let me close with just one more tip: have some fun. That's key. Sure, there will be frustrations. And more than once you'll feel like slapping a fellow committee member with an auction paddle. But the rewards of holding a charity auction—psychological and financial—can be great. And so can the memories. Robert Baird, as an organizer, volunteer, and board member, has been intimately involved with fundraising charity auctions for the past three decades. The following discussion is provided for informational purposes only and is not intended to serve as legal advice. For advice on licensing images for use by your organization, consult your attorney. A nonprofit that is strapped for cash needs an image for its website. Its Web designer does a quick online search, a simple cut and paste, and voilà—photographs for the website, free and easy. The nonprofit has heard that since it is nonprofit and tax-exempt, its uses are not commercial, and thus are "fair use." But not so fast—nonprofits are subject to copyright law just like any other person or entity and do not get a fair use pass simply by virtue of being a nonprofit. They must show, like anyone else, that their use is a fair use under the established tests—a very narrow and limited exception to copyright infringement. For the last six months, I have been getting no less than three telephone calls or e-mails a week from clients, all of whom run legitimate businesses or nonprofits with robust websites and online publications, and all of whom have gotten letters from photographers (mostly their representatives) seeking licensing fees for photos that have been posted without permission. Many of these photos have been on these websites without incident for years. For a long time now, nonprofit organizations have generally felt it appropriate to go onto various image search engines, find a photo for a newsletter, website, or other publication, and then cut and paste it into their publication or website. This trend did not generally apply to hard copy publications, because when you cut and paste something from the Internet, the quality is not sufficient to reproduce in hard copy, as it pixilates and becomes distorted. However, because of the limited resolution of computer monitors, a cut-and-pasted image looks perfectly fine when copied to a website. As a result, based on ignorance of copyright law, believing in the myth of "it is on the Internet so I can use it," mistakenly believing that their nonprofit, tax-exempt status provides a blanket exclusion from copyright infringement, or simply thinking the chances of getting caught were so minimal that it was worth the risk, hundreds of thousands of images have probably been cut and pasted without license and put on nonprofit websites and online publications. One of the reasons this was so easy to get away with in the past was there was no effective way for photographers to find unlicensed uses of their work. When you went onto the various search engines' image sections what, in fact, they were doing was searching for text surrounding images and offering up all sorts of related and unrelated images. A search of "Ronald Reagan" would result in pictures of Ronald Reagan, the Ronald Reagan Building, Ronald Reagan National Airport, Ronald Reagan Highway, etc. Recently, photographers, wire services, and photo agencies large and small have either acquired new technology or have engaged search companies who have image searching technology. These types of entities are now searching for images themselves. If you would like to see an example of how this works, you can go to TinEye and upload an image (it's free), and you will see instantly how it scours the open Internet, finds every use of the image, and gives you the website that is attached to it. These new technologies make it very simple to identify an image's use and then cross-check the website owner's name with the names of licensees. If there is no match, a letter is sent with a license fee/penalty demand. This is all now done in an automated fashion, which, while making the process economically viable, can cause certain problems. Particularly, it will not identify a licensee website if it does not contain the name of the actual licensee, and it certainly does not perform any fair use analysis of the works. Each of the automated demand letters that I have seen gives contact information, where a licensee or one who believes their use is valid can contact the copyright owner. The letters are being generated and going out, it would appear, without human intervention or any substantive review. Creative Common Licenses, even when they cover photographs, may have requirements that the photo not be used in commercial context, or require attribution, copyright notices, and the like. These terms are often violated when the pictures are reposted on websites, fail to comply with the license requirements, negate any licenses that might have been available, and become infringing uses. The letters that I have seen generally have been asked for licensing fees in the hundreds of dollars. A few have reached $1,000, though that has been the exception. In this price range, it often makes more sense to pay the fee than to contact an attorney. The reality is having your attorney review the demand letter and discuss the situation with you is going to cost more than the demand. The fees being charged are always more than the original license fee. If the photo agency were to simply ask for its standard license fee after they caught an infringer, there would be no incentive for anyone to ever license the work. They would simply use it without a license. Hopefully, they would not be found out. And if they were to be caught, they would just pay the license fee at that time. Therefore, we generally find the demands to be anywhere from 2 to 10 times the normal license fee that would have been charged if the image had been properly licensed from the outset. 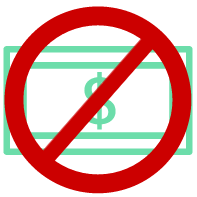 However, these demands represent much less than your nonprofit's possible exposure. Under copyright law, if a work has not been registered prior to the infringement, a copyright owner is entitled to its losses or the infringer's profits. Its losses would be the licensing fee. The infringer's profits could be the money it saved by not acquiring a license, which is the same as the licensing fee; however, one could also make various arguments for seeking indirect profits based on the benefits accrued as a result of the use of the infringing item. This is not always easy to prove, because it cannot be speculative, but it is a possibility. But if a copyright had been registered prior to the infringement (which is what most professional photographers do), the copyright owner is first entitled to recoup its attorney's fees. The owner then has the option of collecting the actual damages described above, or statutory damages, which range from $750 to $30,000 for a regular infringement. If it can be demonstrated that the infringement was willful, than the damages can be anywhere from $750 to $150,000. This is a huge range, and any resulting award is totally subjective and depends on how the judge and jury feel about the respective parties. The copyright owner is entitled at the end of a trial to choose between the higher of the two awards. There is an interesting court case from several years ago in the Ninth Circuit (Perfect10 v. Amazon) which provides for a work-around where the photographs used are not actually copied from the underlying site and pasted onto the new site or copied onto the server. Rather, a framing technique is used where even though it appears on your website, what you are actually viewing is the underlying work on the original site. If you right-click on the image, go to "properties" and look at the URL, you will see the URL for the original image. If it had been copied outright, you would see the URL for the infringing website. The court found no infringement based on this type of framing. The takeaway, of course, is that if it is on the Internet, it is not necessarily free; the time of perceived free rides is over, due to the new tracking technologies. Before any photograph is used by your nonprofit, it should be properly licensed. Licensing fees are generally reasonable and there are many images that are available. If one image is too expensive, you can almost always find another that is suitable and which your organization can afford. Save yourself grief, and attorney's fees. Don't cut and paste—license! The preceding is a guest post by Joshua Kaufman, a partner at Venable LLP, where he heads the firm's Copyright and Licensing Group. Information is the first step in the long process of decision making, regardless of the industry you activate in. Small businesses, enterprises, universities and nonprofits all use data to measure success and set key performance indicators (KPIs). But where once Big Data stood king, professionals are slowly turning towards Smart Data. In fact, Smart Data tops Google’s top marketing predictions for 2015. This is because it enables organizations to make better decisions for their future. Do you have a question to ask me? Email me, Andrea Kihlstedt, at ask.andrea@yahoo.com for your chance to be featured in the column! A Call for Diversity Data Is Met With Silence by Many Green Funders. What’s That About? At UTEC (United Teen Equality Center), we work hard to ensure that our data has integrity, which requires that it be accurate, reliable, timely and useful. The essential question for us is “How do we get that data?” Obtaining and documenting good data is particularly difficult at a place like UTEC where we serve youth who often find themselves in crisis or facing barriers to success, which leaves staff little time and energy for data! We’ve found that buy-in from the direct service staff who enter the data is crucial to getting good data. If staff understand the value of data, they are likely to ensure the data are right. In particular, we’ve found four strategies are important to staff-buy-in. The possibilities of what to collect are infinite. We’ve learned to distinguish between nice to know and need to know. We assess data collection through the lens of how the data relates to our theory of change, and how it will help us better serve our youth. This helps staff understand why we collect the data.For example, there are countless risk factors that we could track at intake, such as family functioning or income level. However, to make the intake form manageable, we focus on data related to our target population, particularly their school dropout, employment, and pregnant/parenting status, as well as their criminal and gang involvement. We also collect limited data on other risk factors that directly affect youth’s ability to participate in the program, such as mental health and substance abuse issues. Cultivate data champions and curiosity about data. Line staff’s own peers offer the most compelling reasons to collect and analyze data. They convey to one another how they use data and the benefits they see. We encourage staff’s help in informing our data strategy. This is done through a group we call The Inquirers, a team of direct service staff helping to create a learning agenda for UTEC. 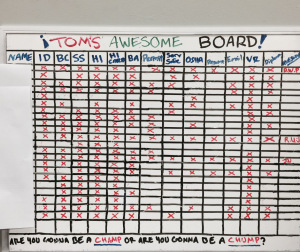 We build on staff ideas and strategies related to collecting and using data.For example, one of our case managers developed an “awesome board,” a dry erase board above his desk that tracks youth progress across key milestones. All case managers adopted this, and we celebrate youth who “complete” this board at a monthly house meal. See photo of an “awesome board” below. Note that names have been hidden to protect confidentiality. Conduct regular data review at all levels. Staff review and discuss reports, at varying frequencies, with data tailored to their needs. In particular, UTEC’s leadership team reviews dashboard data comparing actual data against a set of quarterly and annual targets to identify red flags and inform course corrections. In addition, line staff review youth progress reports to identify additional needed supports. Youth also see their own data through formal “youth check-ins,” where they meet with staff to discuss their progress. Integrate data into the culture and physical space of the organization. UTEC aims to foster a culture that reflects our shared values–including the value that we place on data—and to integrate those values into our surroundings. As part of our “Outcomes Transparency and Questioning Campaign,” we display data around our building to highlight successes and show progress. For example, our public café highlights our youth outcomes. See photo below. 1. Making changes to systems while still maintaining buy-in. We make changes to our data systems based on our program model and staff feedback. However, changes require retraining staff, which can create staff frustration in having to relearn systems. We’re working to minimize these disruptions by making major changes annually, as opposed to monthly or quarterly. But this means that systems aren’t as efficient as they could be in the meantime. 2. Simplifying data entry while still getting data that is detailed enough to be meaningful. We constantly seek ways to simplify data processes. We scrutinize every data point and ask, “Why do we want to know this?” and “What will we do with this information?” However, there’s still a lot that’s important to collect. Our challenge becomes making data collection manageable for busy staff. We’ve addressed this by providing staff with tablets to enter data, since staff are often on-the-go.We also work to make data accessible through staff-customized dashboards. We assess the manageability of our data processes based on: (a) whether the amount of time it takes to enter the data is reasonable, (b) how easy it is to access needed data in a timely way, and (c) the degree of flexibility in our data systems to accommodate changes in programming. 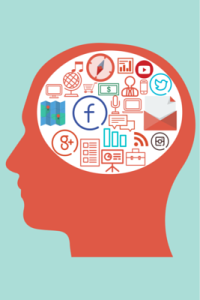 As we’ve learned, getting and keeping staff buy-in for data requires constant attention. The work to achieve data with integrity is never done: there’s always room for improvement! Special thanks to Jephine Ajwala for help writing this blog post. Jephine is a Data and Evaluation Analyst at UTEC and is passionate about developing evidence-based strategies aimed at improving the circumstances of marginalized populations. 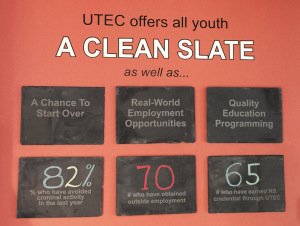 If you are interested in learning more about UTEC, visit our website. You can also sign up for our mailing lists. The preceding is a cross post from Markets for Good. To view the original article, click here. Many thanks to Erin and Jephine for sharing such creative and useful examples of how to create an organizational culture that supports data with integrity! Feel free to share your thoughts in the comments below, and to share this article on social media using #dataintegrity. As the director of an organization that works with foundations across the country, I get to see remarkable examples of foundations working together and learning from each other about how to be more effective. But sometimes we need to look beyond the field to get ideas of how to tackle our biggest challenges. If you have teenagers (or have been one), you know the person the world revolves around. Or if by some quirk of nature your kids are model cherubs, think back to that blind date. "Enough about me," your companion said. "Let's talk about you. What do you think of me?" Have you ever spent time with someone who talked only about him- or herself and never once asked a question about you? Of course you have. If this hasn't happened to you, then maybe you are that person! Or perhaps it's an elderly neighbor you meet on the street. You ask with civility, "How are you?" only to be subjected to a list of ailments spanning your neighbor's entire anatomy. In short, Me is everyone's favorite subject. So it's no surprise that a would-be supporter's first question (whether spoken or not) is ... Why me? It's a loaded question. By asking it, the donor is trying to situate himself in the world, or at least in your world. Going through her mind—simultaneously—are related concerns: How do you see me? Do I approve of the way you see me? Do you really know me? Do you care about me? Am I important to you for reasons other than my money? Carol is someone who had such questions. After a distinguished career in public health, she retired and devoted herself to a variety of organizations serving seniors. Noted author and consultant Mal Warwick, who at the time was establishing a community foundation focused on young people, approached Carol and asked if she'd become a founder. His goal: a gift of $5,000. "Why me?" she asked. "You know I never give more than $1,000 at a time. And my interest is seniors, not youth. Why should I do this?" This is a common dilemma fundraisers face. Virtually all people predisposed to philanthropy are already donors to some causes. It can be tough to break into their circles of concern. And yet it is possible, as you'll see in Mal's case. "Knowing she was fully capable of giving $5,000 and that she viewed herself as a community leader, I felt I could persuade her to join the founders group," says Mal. "The challenge was to relate our mission to her fondest interests. So I asked whether she saw any contradiction in helping young people rather than seniors." Mal is nothing if not astute. "The question caught her off guard," he continues. "She started thinking out loud about intergenerational programs in which young people help seniors with household chores while the seniors, in turn, mentor the young. She recalled the young people who had joined in a program she herself was running. As she spoke at length about this intergenerational concept—novel at the time—she talked herself into giving the $5,000. The amount wasn't the problem. All she needed was an excuse to give." Mal knew exactly what he was doing. In a kind and respectful way he allowed Carol to discover that she also cared about their community's youth. Like most people, she wanted to help. And by posing that one perfect question, Mal solved her problem of priorities, and his friend became a founder. Carol essentially asked herself the question, "Why not?" As this example illustrates, the art of fundraising is the ability to help donors understand how your cause meshes with their personal interests and how, by entrusting you with their money, they'll achieve something they want: namely, improving the lives of others. Because with your past gifts you've shown you care. Because you've met so and so (a person the cause has helped), and your gift can help others like her. Because you're respected, and your support will inspire others. Because you know how big the need is, and your gift will help provide solutions. There are many other answers, of course. You'll identify the best one when you deepen your understanding of the donor. And guess what? The best way to do that is to ask him or her questions! The preceding is a guest post by Harvey McKinnon, one of North America's leading fundraising experts and president of the Vancouver/Toronto-based fundraising consultancy Harvey McKinnon Associates. In addition to The 11 Questions Every Donor Asks and the Answers All Donors Crave, his works include Hidden Gold (Taylor); the audio CD How Today's Rich Give (Jossey-Bass); Tiny Essentials of Monthly Committed Giving (White Lion Press); and (as co-author) the international bestseller The Power of Giving (Tarcher/Penguin), which was selected as an Amazon Best Book for 2005. Use Board Member Bingo to Make Board Retreats Fun! Direct mail has become a polarizing topic in the nonprofit fundraising world. Many bloggers and development veterans feel that it's one of the most important tools in the fundraising toolbox. Others – many of them focused on targeting a younger demographic – want to change or do away with the practice altogether. For what it's worth, approximately 90 percent of the direct mail I receive winds up in the recycling bin, unopened and barely glanced at. And I'm not alone. For many new and younger donors, direct mail is viewed as intrusive, messy, and a waste of resources. So why do so many organizations continue to embrace it? The answer is simple: It works. Board Recruiting Best Practices – What do you REALLY want from me? As a nonprofit ourselves, we know just how hard it is for nonprofit leaders to ask their board to financially participate in the important work their nonprofit is doing. 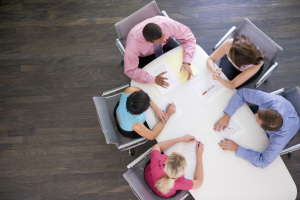 With board members giving so much of their time and energy to their board service, many Executive Directors feel uncomfortable asking board members to financial contribute as well. But this is an important part of any Executive Director’s job. And board members typically understand that better than just about anyone else. I recently returned from GuideStar’s largest office in Williamsburg, Virginia, for our annual All Staff event. This is our version of an “all hands” meeting – the one time of year when employees from all three offices and the ever-expanding list of remote locations gather together in one place. We spent two days in the William and Mary Alumni house learning from our leadership, listening to external speakers and touching base with colleagues that we only see during this valuable time. Data management solutions can enable you to better track the contact, organization, and program information you need to be successful, and streamline key processes like donations or communications. It’s an all-too-common scenario… you know that a data management solution could help your nonprofit, but need to convince your leadership. Where do you start? What should you focus on? It has been a long time since a fellow consultant to non-profit organizations urged me to check out GuideStar which, according to him, was delivering much needed services no one had previously thought to offer. I was living in Idaho in 1994, doing some consulting with non-profit organizations, teaching at Lewis-Clark State College, and doing contract work for North Idaho College. I had just finished five years managing The Festival at Sandpoint, also in Idaho, and was celebrating my seventh year in this State after nearly two decades in Flagstaff, Arizona. There I had directed Northern Arizona University’s non-profit management program, operated a consulting business serving non-profit organizations, and managed several 501-c3 organizations in the arts and education.It has been twenty-one years since GuideStar totally changed the way I do business. The following is a cross post by Jeri Eckhart Queenan. To read the original article on The Bridgespan Group's website, click here.